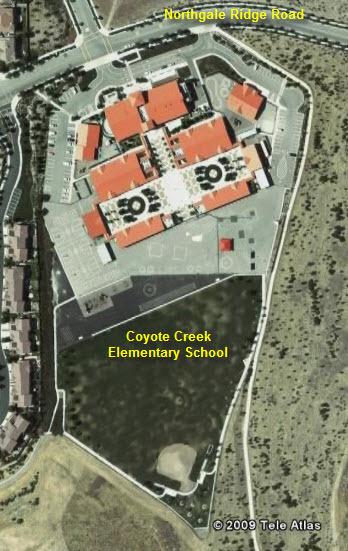 The East Field is the one closest to Talavera Drive. 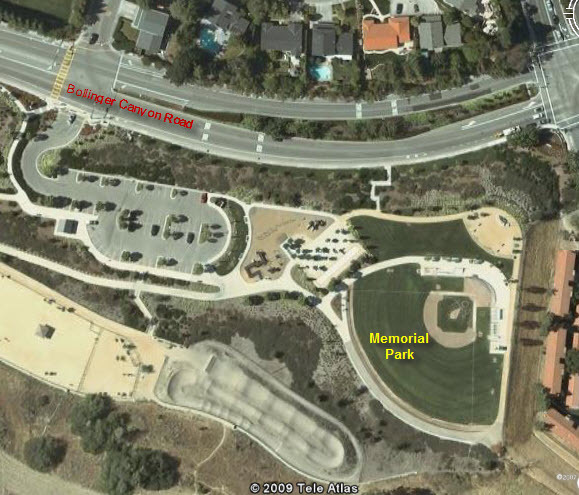 The West Field is the one farthest from Talavera Drive. San Ramon Central Park is on Bollinger Canyon Rd just west of Alcosta Blvd. Parking for CP1 is off of Bollinger. 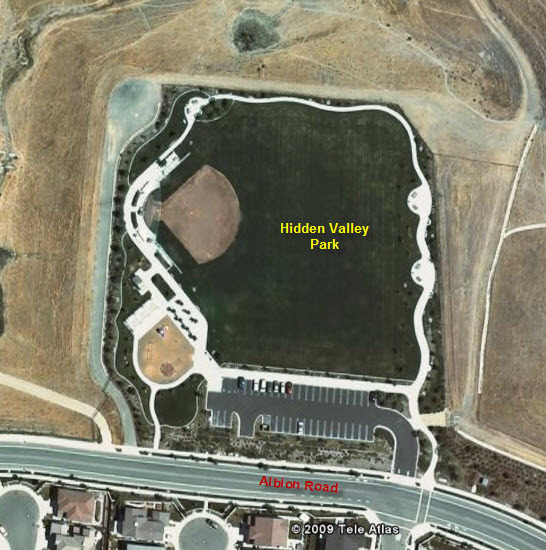 San Ramon Central Park is on Bollinger Canyon Rd just west of Alcosta Blvd. Parking is off of Alcosta. 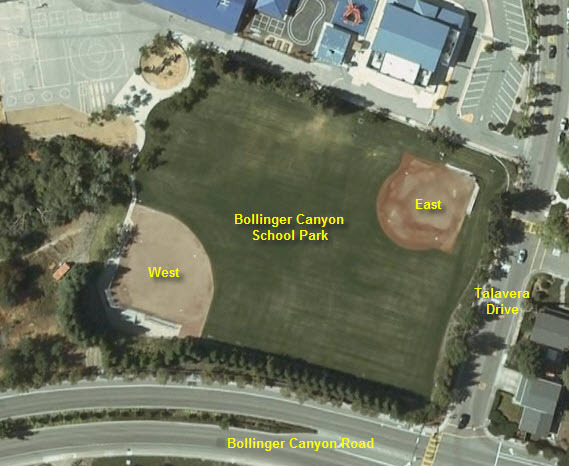 San Ramon Central Park is on Bollinger Canyon Rd just west of Alcosta Blvd. Parking for CP1 is off of Bollinger. 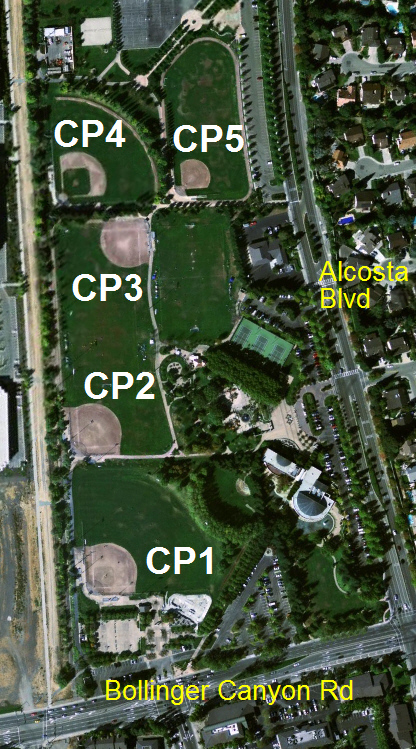 Parking for the other fields is off of Alcosta. Take Bollinger Canyon Road 3.5 miles Turn left at Gale Ridge Road Continue on Northgale Ridge Road. 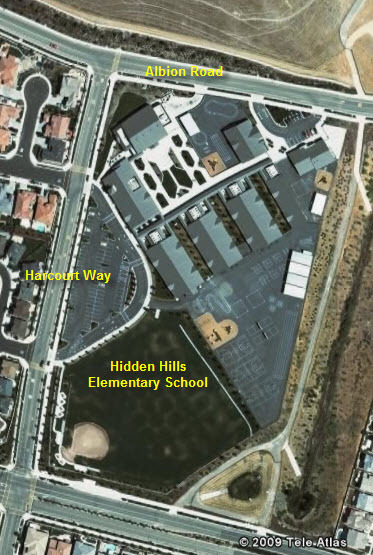 The school is on the right side of the street. Alcosta to Bollinger. Turn east on Bollinger and proceed up the hill. Continue east past Club Sport to Chantarella. 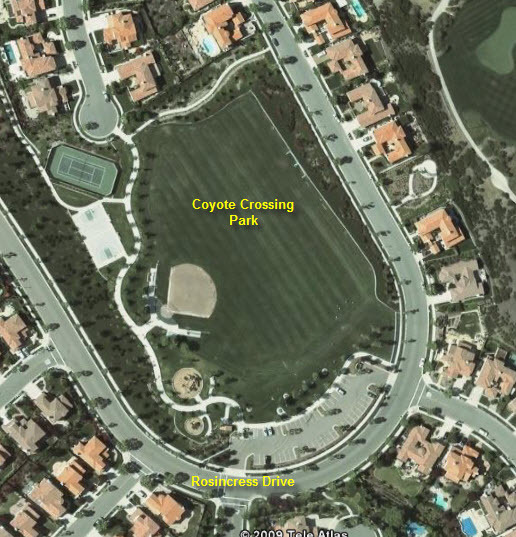 Turn left on Chantarella, which dead-ends at the parking lot for the Coyote Crossing Park. Directions: From Highway 680 take Bollinger Canyon Road heading North. Turn Left at Albion Road. Turn Right at Harcourt Way. Directions: From Highway 680 take Bollinger Canyon Road heading North. Turn Left at Albion Road. Go approximately 1/2 mile, the park is on the left. From Hwy 680 and Bollinger Canyon Road intersection. Take Bollinger Canyon Road West. Proceed up hill and past Norris Canyon Road. 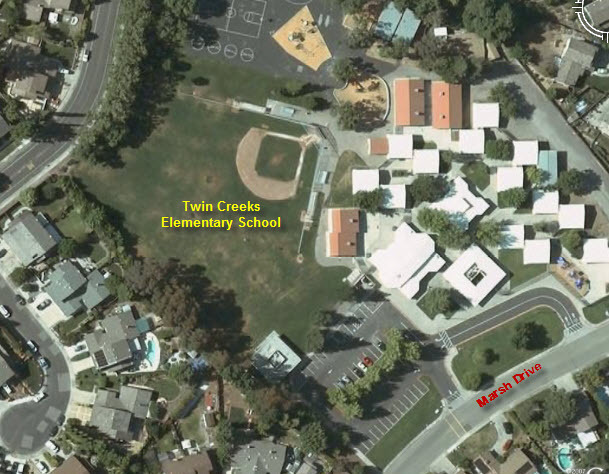 Turn right on Marsh Drive, Twin Creeks school is on the left.